May | 2014 | one check or two? 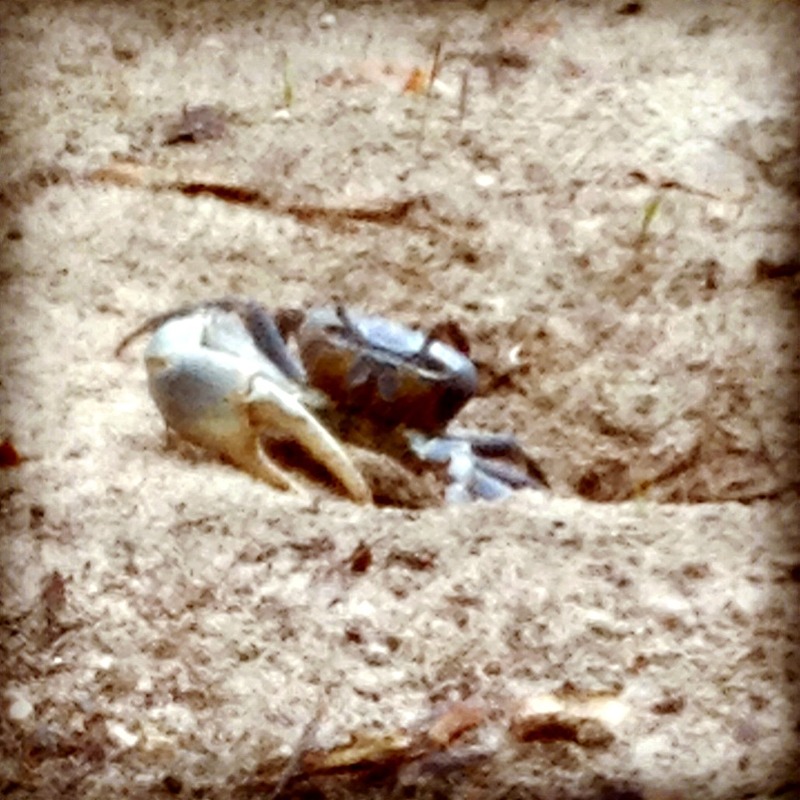 I lie in my hot and humid Coleman tent, blue crabs come out of the sandy earth and surround my tent during the black night. I hear (and slightly freak out) the incessant click of their claws and scurrying of their bodies until I finally calm myself to sleep. 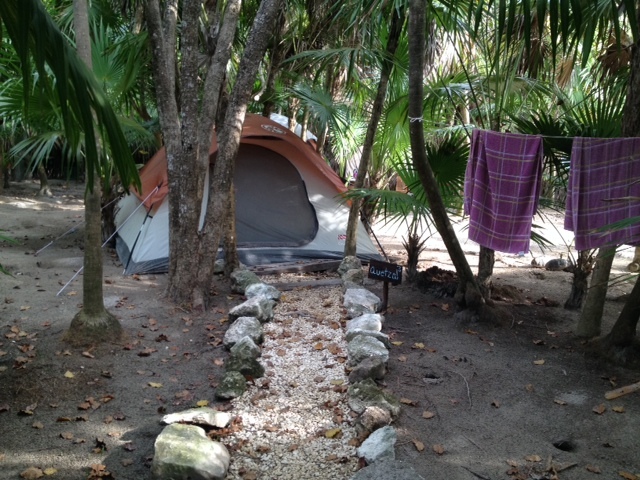 I am camping in the jungle of Tulum, Mexico, by myself. My girlfriend and I booked this vacation (swanky all-inclusive hotel and flights) in January, a month later, we broke up. 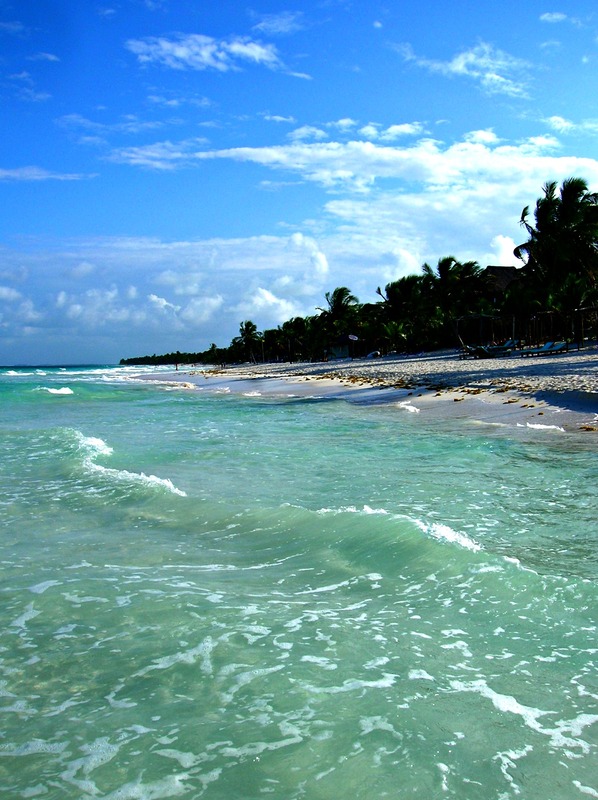 After breaking up, we went back and forth – deciding whether we would cancel the trip all together, keep the tickets and try to reunite our love in Tulum, or bring a friend in one of our places. Eventually, the trip was cancelled. However, my inner voice told me not to refund my plane ticket – to take this opportunity to go alone. So, in a week’s time (trying to nudge my inner voice away), I dedicated myself to go on this trip solo. I would refund our beautiful and romantic resort for a cheap alternative – camping in the jungle for $40 a night. Once I arrive in warm Mexico, I get on a shuttle along with a mother and daughter from Canada. I learn the daughter is going to be the maid of honor at her friend’s wedding in Playa del Carmen. After talking to them for a bit, they ask if I am traveling alone, which I reply yes. They seem uncomfortable at the thought of a woman traveling by herself to a foreign country. I didn’t tell them my story – what had brought me here and what I would gain here. After dropping off the Canadian ladies to their mega resort, I hop in the front seat next to the shuttle driver, Johnny. For an hour, we talk about his children, working at Buffalo Wild Wings (which we both had done), and his thankless job as a shuttle driver. I had met a friend, someone I would have never known if I wasn’t traveling on my own. I say goodbye to Johnny as I check into my campsite. The friendly and fabulous host shows me to my orange tent, surrounded by green thick palm trees – of course it’s tent #3 (3 is my lucky number, our lucky number actually). I tell him thank you and sit in my tent, suddenly immersed in unfamiliar silence. I wonder how I’m here, in the jungle, in one of the most beautiful places on earth, without her. I walk to the beach, look into its clear waters, search for some inner peace. I don’t find it so I get dinner instead. I make friends with the bartender and owner of a seafood restaurant near my campsite. They make me feel like I’m at home and through a few cervezas and amazing grilled mahi, I realize my experiences on this trip will be just what I need. That night, I walk the dark tree lined road back to my tent. 30 minutes into my sleep, it starts to rain. I let my mind wander and think of her in the most overwhelming state of isolation while rain pounds my tent. I fall back into the frantic state of confusion she left me in months after our breakup. All the things I’ve seen and discovered in the recent weeks have made it clear I really never knew her (more so, she really doesn’t know herself). I try to collect my torturous thoughts and overcome them all in one night, while the crabs surrounding my tent barely let me sleep. The next days, I sit at the beach, write like a madman, read a self-help book, get a horrible sunburn only on my stomach and thighs, and voyage out in the evenings to eat and talk with others. This is only what happens on the outside. These didn’t happen instantly. Nothing does when you rely on its outcome. As the days go by, I try new things, I start meaningful conversation with strangers, and I make room for the hard reality and emotions in a world of disconnection from my own. I let everything be on my time. At night, I cry in my tent. I wish for a cool breeze. I listen to my old ipod, filled with songs that remind me of her and those moments I wrapped myself in our love. I write about it all. In the mornings, I wake up, ready for face the next 24 hours of whatever the universe has in store for me. I try to say thank you each morning for the opportunity, for my strength, and for my journey that I will come to love. It was during a conversation with a couple from Indiana, when I realize I hadn’t come here to find myself. I already knew myself. I came here to take a “time out”, to gain confidence, and to be free from the expectation of “getting over it”. No one here knew my story, they only knew I had come here alone. They didn’t see anything else past it. 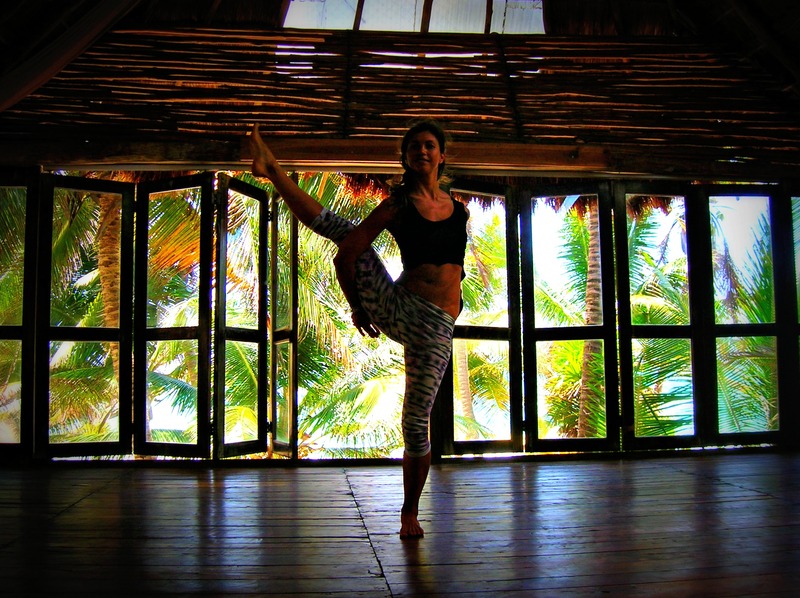 The last day of my trip, I take a yoga class. The beautiful and wise instructor makes me slightly embarrassed at my lack of flexibility but, she manages to put me at ease. There’s a point in the class after many intense poses that she asks us to place our hands in a prayer pose in front of our chest. She asks us to let our hands part – that we’ll feel the magnetic energy that our Chakras have created. I’m extremely open minded but I was a little reluctant as I parted my hands from one another. Suddenly, as if a magnet was wedged between my hands, they became polar opposites. My hands moved in and out. My mouth was probably gaping open at my fascination of this experience. After the class ends, the other woman in my class and I tell the instructor thank you. She’s happy for our praise and explains she hasn’t taught a class in a year and she was nervous for teaching her first class that day. After yoga, I get a Mayan Clay massage that helps to detoxify the skin and system. I feel slightly enlightened. How could I not? I go to the beach for the last daytime sun before returning home the following day. As the sun starts to set, I write my ex a letter to tell her everything that’s too late to say and say goodbye. It’s around 5 pages long, I grasp the folded pages in my hand until I’m ready to bury it in the sand. There are moments when I tell myself, “You’re doing this. You’re doing all of this.” These simple words soften my heart and reclaim my value. On this last day, these words wash over me with intense power and energy. That night, I eat and drink my last meal on my trip. I walk back the dark road to my tent but something draws me to the beach. The moonlight casts a glow on the white sand and clear waters that I could never describe in words. Something deep within me comes to surface. Pain, fear, anger, confusion, and renewal. 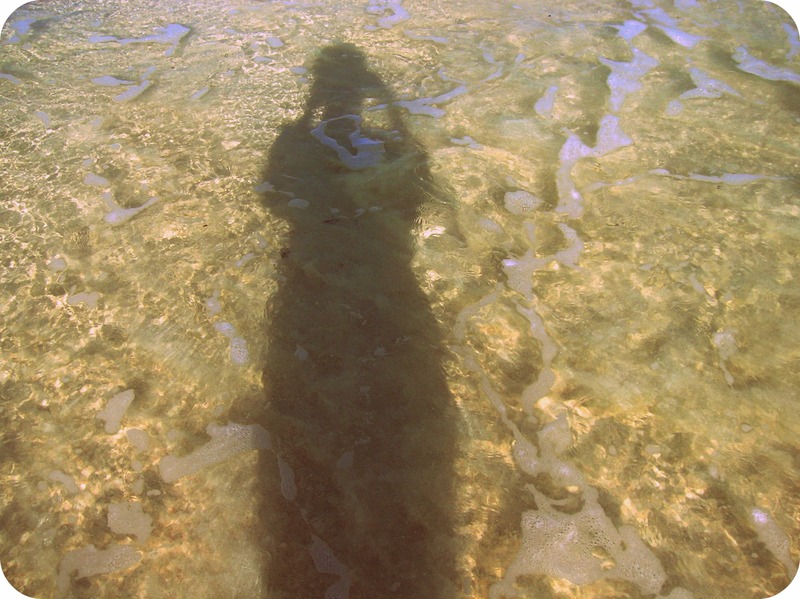 I wade in the water, letting the salty waves crash into my legs and up my skirt. I put in my earbuds in and play my ipod. I let those songs about her become songs about me, in this moment. I dance in the low tide, sit on the dark sandy shores, and look to the full moon for strength and restoration. I feel it all. I somehow make it back to my humid tent and fall asleep without waking up once. The next morning, my shuttle picks me up. On the way back to the airport, I glance to the right side of the highway and see the huge resort we had originally booked, miles away from the excitement of where I had stayed. Another moment which made me realize everything is meant to be. I spend 12 hours that day traveling back to America, stand in long lines to get through US customs, run for connecting flights, and discover someone has stole my debit card information (yes, I filed a claim). But I am at peace. Once I land in Richmond, I’m overcome by unexpected serenity. I come back home to my joyful dog (many twirls and jumping) and fall asleep in my cool apartment that feels so safe. Most people I met on this trip told me how admirable it is that I’m traveling on my own. The women with husbands exclaimed they would be doing the exact same if they were single. I don’t want to toot my own horn but, looking back I can’t believe I did what I did, from experiencing raw moments in the hot jungle, finding happiness in conversations with wonderful people, and facing post-breakup pain on a vacation intended for a completely different purpose. 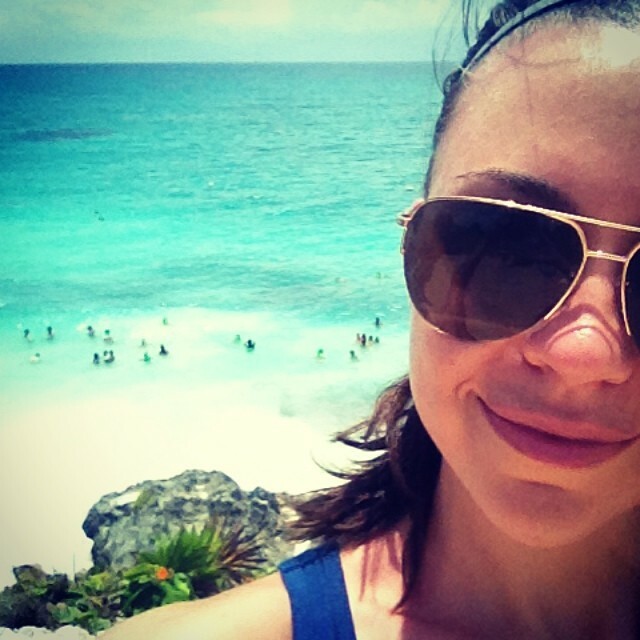 This wasn’t my first time in Tulum. I went last September with friends, this time alone, and am planning for another adventure with friends later this year. Moments during this trip, I imagined what it’s going to be like to bring my future partner and family here. It’s a beautiful place, full of positive energy and simplistic grace. I can’t wait to share it with someone who loves me with as much intensity as I deserve. So, this is my solo trip story. It’s an experience I would recommend for everyone to try once in their lifetime – doing it after a loss or major setback is challenging and might break you open a little but something about renewing your power while being vulnerable is something that can never be replicated.